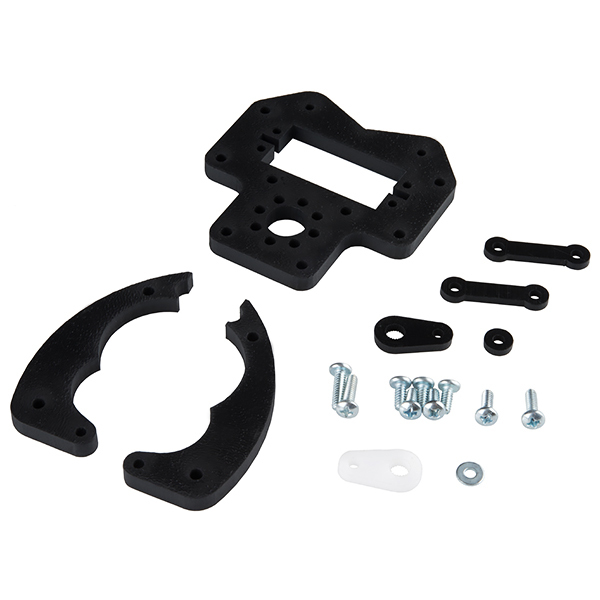 This is the Standard Gripper Kit A, a simple and durable robotics kit that is great for "getting a grip" on pretty much any robotics project! 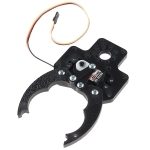 Designed for use with any standard size Hitec or Futaba servo, the gripper kit is easy to assemble and requires only a Phillips Head Screwdriver. This Standard Gripper is capable of opening an impressive 5" wide, has an overall body dimension of 5" long by 3" wide, and offers both 0.77" and 1.5" hub patterns for easy mounting on Actobotics components.